So now that I am 2 months postpartum with my fourth little miracle, I figure it is time to finish this postpartum blog post. It’s always great to review the amazing information that is out there and to see it from a fresh perspective. And many congrats to the sweet new babies that have joined us recently and the ones that are on the way! Once baby is out and you are back to love-a-dub-dubbin’ the hubs (FYI, coconut oil is a great natural lubricant! TMI! ), you have to start preparing for the possibility of another pregnancy. The longer I’ve been having children, the more I have come into contact with families and groups that don’t use birth control and trust God with the number of children He gives them. Quiverfull is one such group that believes children are always a blessing and have a number of articles communicating the Biblical support of this view. It’s definitely not mainstream, and I have my questions about it, but some of their ideas have changed my thinking for the better. http://www.gentlechristianmothers.com/ – I have gone to this site in my, “Ahhh! W hat do I do? !” moments and received GREAT wisdom and support from the other moms on their discussion boards. Such a precious (and unique) blend of Christianity and Parenting. http://www.askdrsears.com/ – Christian pediatrician with a great library of books on parenting that he writes with his wife who is a nurse. And he has grown children of his own, so he comes at it from an experienced parent and educated medical perspective while still being open to natural, alternative methods. http://www.attachmentparenting.org/ – a gentle philosophy of parenting including nighttime parenting/co-sleeping/the family bed which has been one of the most rewarding things that I have experienced. It’s so opposite to our individualistic culture, so people think you’re crazy, but the benefits are incredible. Go here for a good summary if you are intrigued. http://www.mothering.com/ – This is a well-respected alternative mothering website (not Christian) with an amazing breadth and depth of information. THE place to search for anything and everything in their discussion boards. You can sign up for a free membership very easily and their monthly magazine is great food for thought. They are not as hard or archaic as you’d think. Here’s a reference comparing them with disposable diapers. And Kelly’s Closet is a mom-run business that I’ve bought them from. She’s got a great info page for beginners, good deals and other great products. And I’ve also received a lot over the years as hand-me-downs or lenders. It really hasn’t been nearly expensive as I initially thought. I would recommend All-In-Ones (AIOs) – BumGenius is my favorite brand. But I’ve also come to appreciate the simple and inexpensive Chinese pre-folds and diaper covers. Just know that they are a bit more work and time than disposables, but not as bad as I thought it would be. Of course the landfill space that I am saving makes it worth the extra bit of work. I dump whatever poopy will come off in the toilet. (Not very necessary until they start eating solids.) You can also get rice paper inserts that allow you to pick up the poop (or most of the poop depending on their aim and consistency) and just toss it into the toilet. Then spray the diaper with an enzyme eating product like Bac-Out, close the Velcro tabs so they don’t catch on each other and turn into a “diaper snake” in the wash, and put it into my dry diaper pail that is lined with a washable/reusable wet bag. 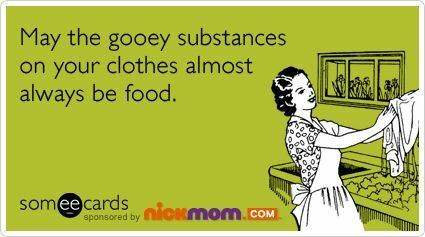 Once it’s full or I run out of diapers, I dump them all individually into the washer (including the bag) and do a short rinse cycle. Then I soak them in Oxygen Bleach (www.tropicaltraditions.com has my favorite brand – order some Coconut Oil while you’re at it) sometimes overnight. Then I put it through a wash cycle with whatever natural (free of dyes, etc.) laundry detergent I have, then another short rinse cycle to get any soaps out that could build up. If it’s sunny, I put them on my drying rack in the backyard (great way to fade poop stains) or throw them in the dryer. Then I put my other washable wet bag in the now empty pail to start the process all over again. You can also make homemade wipes by cutting up receiving blankets into wipe sized pieces and fill a peri bottle or old wipe box with water and a few drops of tea tree oil or lavender essential oil or a squirt of non-toxic (not anti-bacterial) hand soap. Very inexpensive and earth-friendly – just throw the used ones in your diaper pail and wash with the diapers. An even better environmental alternative to cloth diapering is natural infant hygiene a.k.a. elimination communication a.k.a. infant potty training. Babies don’t actually need to wear diapers and in many other cultures they don’t. Mom basically watches babies signals, holds them over a potty and makes noises that baby begins to associate with potty – “ssssss” for pee and a grunting sound for poop. Then the child can eventually can go on command when the noises are made. I think it’s an interesting and sensical idea, but it takes quite a longterm and single focused commitment, so I only tried it here and there. Hey, we can’t do it all, right? But check out Diaper Free Baby if you are interested in knowing more. And remember that God made the Maternal Instinct to Magnify Himself. Whew! You still with me? Crazy, eh? Again, follow the Spirit on what He wants for your family and consider the rest a free exposure to all the parenting options that you don’t necessarily hear about in the mainstream conversation. I had no idea when I first started this journey how much was out there, but I’m a lifelong learner who is drawn to natural things so I hope the resources I’ve gathered can be a blessing to you. If you do want to implement anything just remember to take baby-steps (pun intended) and be anxious for nothing. What are some of your favorite baby resources? This entry was posted in Learn New Stuff, Love Those Kids by Shesourceful. Bookmark the permalink. Curious: are you still doing co-sleeping with your older kids, or just the baby? 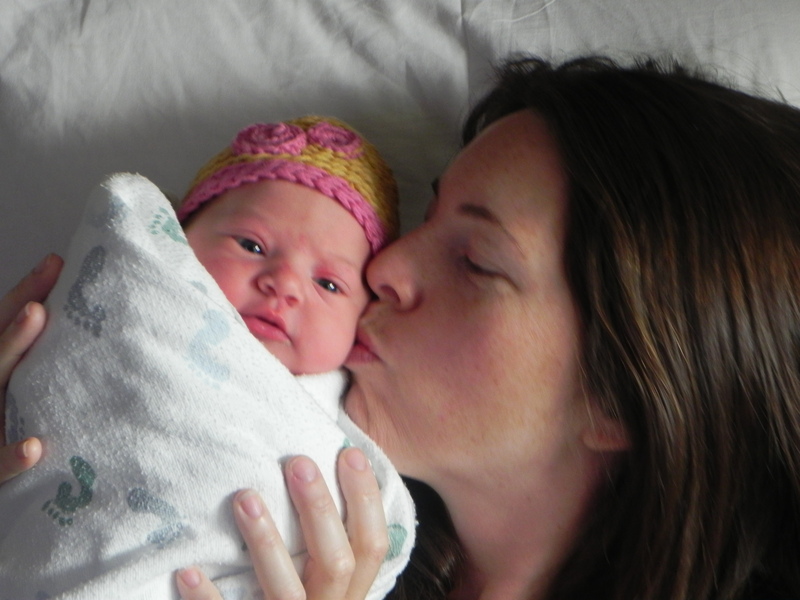 Did you get a co-sleeper for the newborns, or just put them in the bed? I feel like I’d be afraid I’d roll over a baby…considering Freddie accidentally hit me in the face in his sleep the other night, and I once head-butted him. (We’re special). Also, is ecological breastfeeding as completely exhausting as it sounds? It seems like you wouldn’t get any sleep! Also, not possible for moms who go back to work, but interesting that it is a form of natural birth control. Thanks for sharing! No kids for me yet, and I don’t know how natural I’ll go when the time comes, but I like learning too! We have a simple bed rail to keep baby safely on the bed. And ironically enough, even though you are breastfeeding on baby’s cue, when they are right next to you, you are able to roll over as soon they start to making those cute baby-waking-up noises, feed them and sometimes fall back asleep before the job is done. As opposed to waiting until they are awake enough to hear them fuss, get out of your cozy warm bed, nurse them while sitting upright, put them back down and try to go back to sleep now that you are fully awake. I honestly have rarely felt that zombie-exhaustion that many moms complain about because of how easy the co-sleeping set up is. And some people say that co-sleeping can be a good time to bond for a mom who works away from baby during the day. But I do realize it’s not for everyone and you have to experiment with what works. Can’t wait for you to experience the joys of motherhood someday! That makes sense, especially the sleep while breastfeeding part…thanks for the response!